Malaysia Fashion Week (MFW 2016) will take place from 2 - 5 November and it's the largest trade fashion and lifestyle event in Malaysia. This amazing event will be open to both the trade and public over the 4 days, highlighting over 300 dedicated exhibition booths and over 100 local and international fashion brands and designers showcasing their Spring/Summer 2017 collections. 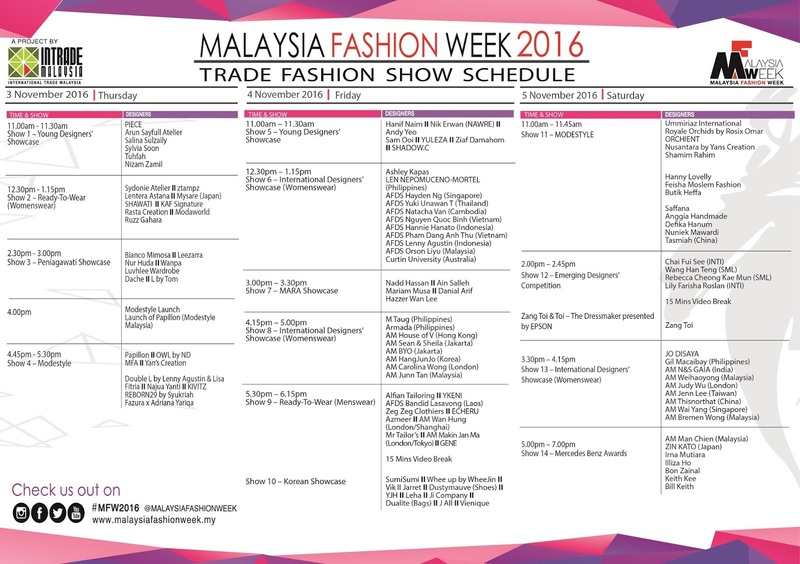 And here's everything you need to know about Malaysia Fashion Week 2016 (MFW 2016). 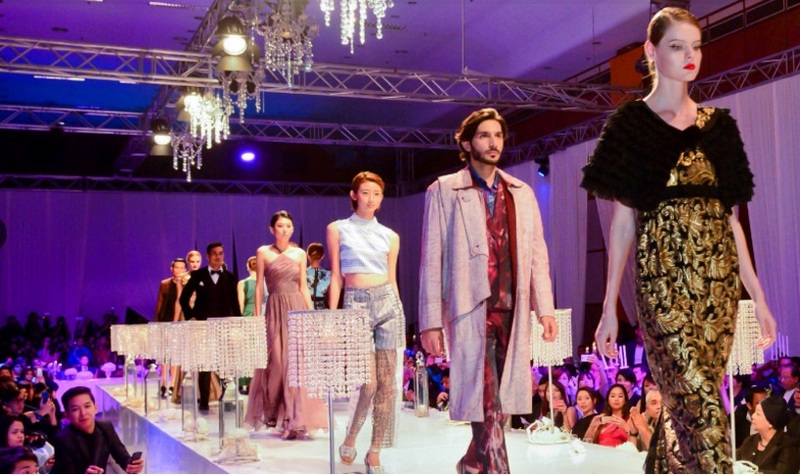 Other than fashion shows and exhibition booths, there will also be tribute galleries by Prof Dato' Jimmy Choo, Zang Toi and Mercedes Benz, for everyone to have a glimpse of their iconic pieces. MODESTYLE, Emerging Designers' Competition, The Dressmaker presented by EPSON, International Designers' Showcase (Womenswear) and Mercedes Benz Awards featuring some well-known local designers like ZANG TOI, Illiza Ho, Bon Zainal, Keith Kee, Bill Keith, and Bremen Wong.